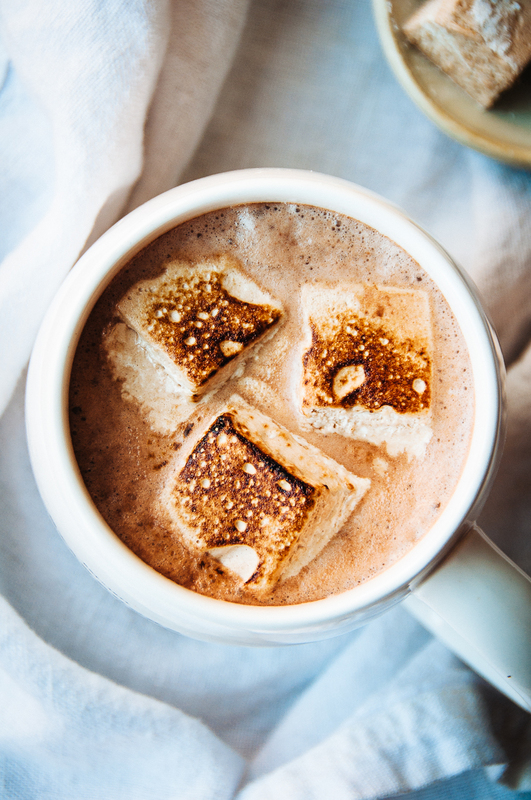 In a microwave safe bowl, heat chocolate chips, sweetened condensed milk and hot chocolate in 30-second increments, stirring after each, until completely melted and combined (around 2-3 minutes). Pour fudge into parchment lined pan, smooth into a flat layer, and top with mini marshmallows (lightly press on top of the marshmallows to set them into the fudge mixture). A rich and creamy decadent hot drink for cold winter days, or evenings, or, simply when a chocolate “hit” is necessary. 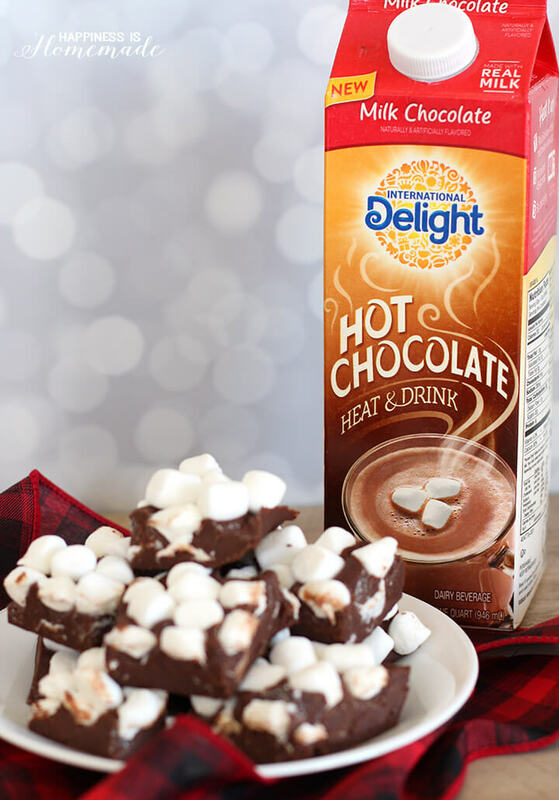 Served in a mug, you can eat the slightly melted marshmallows with a spoon, or let them melt completely into the chocolate!